While some men have difficulty showing their feelings, the Cancer man is not one of them. Insightful and intuitive, he makes a caring friend and a nurturing lover. If you’re looking for a partner who is kind and willing to take care of others, look no further than this sun sign. Find out what it is to date a Cancer man and get free dating tips to make this relationship a rocking one! You will probably have to approach the Cancer male, for even though he is a social creature he is not the most confident person. He is quiet and unassuming, but don’t think there isn’t much to him. Once you start a conversation with him he will brighten up the room with fun stories and lively debate. The Cancer zodiac guy enjoys good conversation, he just isn’t as bold or brash as other men. But he has a great many friends because of his honesty and loyalty, and he will offer you the same kindness. Make sure to get in good with his crew for they mean as much to him as his family and other relationships. It’s important to him that they like you, so try and get along with everyone he introduces you to. And don’t worry about coming up with creative date ideas, for he simply wants to spend time with you. Whatever makes you happy makes him happy too. But don’t be surprised if, as time goes on, he wants to stay in more and more. Once the Cancer man is comfortable with you he’ll want to share his most prized possession with you – his home. He prefers a quiet evening alone with you to a night out on the town, so offer to cook dinner or bring over a movie to watch. You must have noticed that the Cancer man is very reserved and does not open up very quickly. Although he is everyone’s friend and may patiently listen to people for hours together, he may not speak out his mind or express his emotions easily. You need to gain trust of this man in order to know him. Cancerians also place loyalty at a high pedestal. Hence, you should prove your loyalty as a friend, and later as a girlfriend in order to win him and keep him forever. 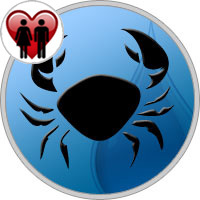 Cancer is very sensitive, and you need to try to understand him, his emotions and dreams when he expresses them. He appreciates a woman who is supportive of his dreams and ambitions. But, he also wants you to have dreams of your own and work towards fulfilling them. Avoid criticizing him, taunting him or making him a subject of practical jokes. Be prepared to commit completely to him when you are able to make a Cancer man fall in love. He’ll want you all to himself and jealousy isn’t an emotion that this type of man deals with well. Don’t go out of your way to try and persuade him to love you by making him jealous. It really won’t work and he’ll likely sever all contact with you. Trust and devotion is the key to a successful relationship with a man born under the sign of Cancer. The possessive Cancer man wants ownership, and he’s come to claim you. You will get a share of revenue and royalties, while he retains creative control, managerial rights and at least 51% of the partnership. You agree to walk by his side or two steps behind him; in return, he will valiantly shield you from paparazzi, street urchins, and other interested men.